Though it was only in the previous generation of console gaming that we saw Shadow of the Colossus hit shelves, it has since sparked much discussion in the gaming community. The game is renowned for being a testament to the PS2’s capabilities as a machine, a huge addition to the PS2’s excellent game library, and is used as a primary example as to why video games should be considered art. 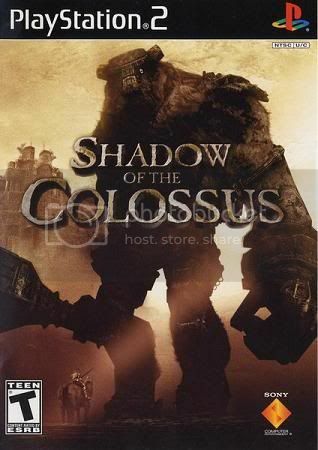 Indeed, the longer any given internet debate about video games being art drags on, the more likely it is that someone will mentioned Shadow of the Colossus. 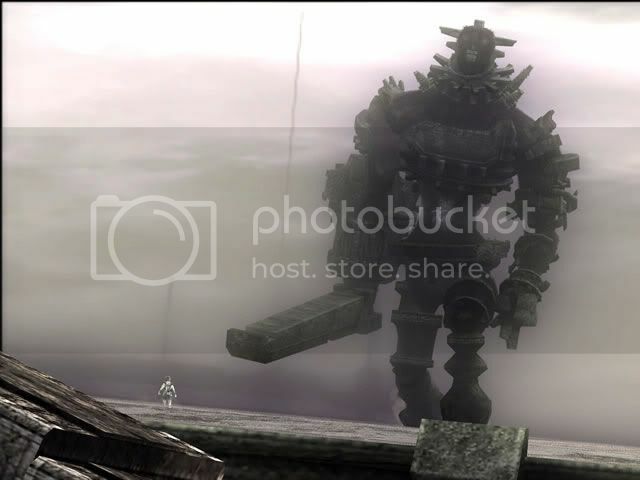 Shadow of the Colossus was met with overwhelmingly positive reviews from critics, much like Ico (a cult hit from the same developers); however, unlike Ico, its ‘spiritual successor’ sold a huge number of copies in its opening weeks. It also received many, many awards. 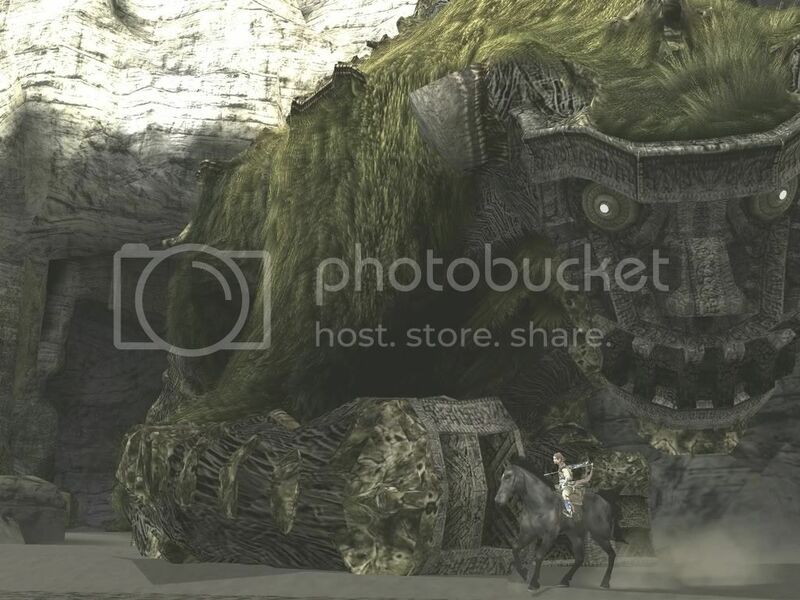 If you haven’t yet played Shadow of the Colossus, as a user of the internet you may or may not have stumbled across many famous screen-shots of this game on your way to finding pictures of various naked wo(men)… or furries. Screen-shots featuring mighty, gargantuan beasts as they roam the plains of the Forbidden Land and stare your hero right in the eyes… and possibly try to squish him. Their vision is based on movement, right? … Guys? But could one consider this masterpiece of gaming… art? I believe you could, but no more so than any other game, in any genre. I’m not going to delve too much into this debate (I’ll leave that for the more articulate and intelligent than I). However, I will say that Shadow of the Colossus is clearly a significant title in the history of gaming. Its unique style, story, game play, and expansive world with sixteen jaw-dropping bosses has given it lasting appeal. But does a game have to have a beautiful set of colours or unique art direction to be considered art? 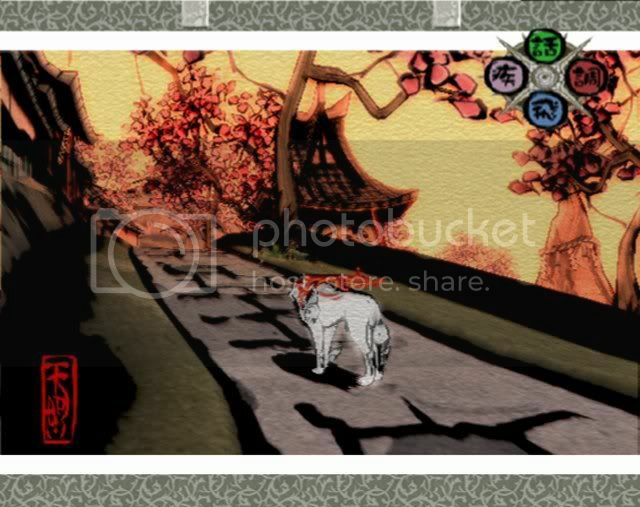 If you simply examine the landscapes and enemies in the game, you may find that to be art in and of itself. But art can be – and is – more than that. Couple the graphics with the feeling of loneliness that sweeps over you as you ride your horse across the expansive landscape, which is so devoid of anything, yet so full. Add the game’s use of music (or in some cases the lack of it), and this adds to the experience. Think about the fact that video games are inherently an interactive medium – an interactive art form. Consider the player’s empathy towards the relationship between the main character, his loved one, and his horse. Simply put, art can make you feel. Art addresses human experience. This got me thinking about characters, and why we as gamers like or dislike them. Why did I feel so attached to Agro the horse, for example? He can’t offer you assurances, nor can he make witty remarks when the timing is just right. Beware, foul beast. I’m about to get Agro. So why do I want to cuddle him so? I can offer no definitive conclusion, but perhaps it’s because of all we went through together in this virtual world, the stupid horse and I. I felt like he was my companion because he was always there for me when I whistled, and because we had slain many a colossus together. This works in a similar fashion for humans. Surely I would feel more fond of any given person if we had just survived the trials and tribulations of, say… a zombie apocalypse. Of course, with human characters comes a whole new can of worms, but that’s a discussion for another time. Many game designers, artists, and developers as a whole draw inspiration from this unprecedented title. Shadow of the Colossus is not just unique in its story and artistic style, but also in its technical capabilities, immersion, music, and contribution to its medium. Perhaps even the art world, too. Truly a game ahead of its time. Let’s keep our fingers crossed for a PS3 HD release.